I joined this crazy place on 2009-02-28, 10 years ago. My profile pic says it all! 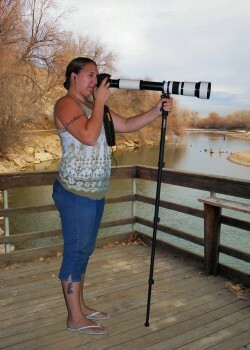 I am a photographer out here in 29 Palms, and I have my own professional photography studio. I have been taking photographs for years and I LOVE every moment of it! I have been married to my awesome husband for a little over 10 years now and we have 3 beautiful FURbabies!!!!! I am prior Marine Corps, and did 5 years active duty. I am my own person and lives every moment to the fullest!!! You're to funny Kel! I think to many people forgot about me! Help her out peeps! She contacted me, but I don't know who's out there any more to recommend..... Btw, HI! !